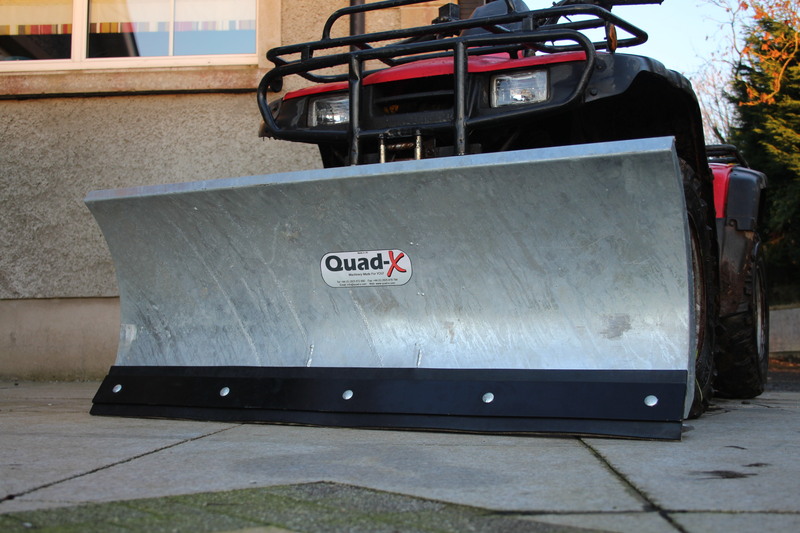 The Quad-X Snow Plough (which NOW COMES GALVANISED) is easily angled left / right (5 positions) to push snow either side. Adjustable skids and a reversible / replaceable 2 sided blade protect the plough. It is also spring loaded to cushion collisions with obstacles. The galvanised finish provides protection against the difficult environment the blade has to work in. 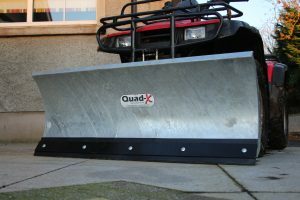 The snow plough is easily angled left / right (5 positions) to push snow either side. Adjustable skids are fitted to protect the plough. A blade is fitted to the bottom of the plough to protect it from wear. This blade is reversible and can be replaced. The snow plough is spring loaded to cushion collisions with obstacles. 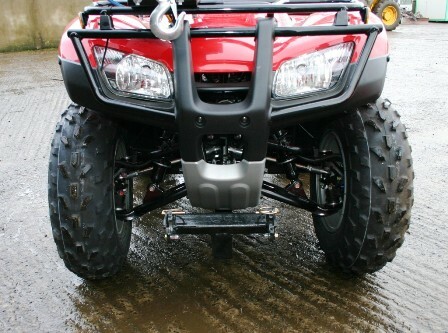 – A lift system – either manual/electric lift. An optional rubber strip is available for tarmac areas.